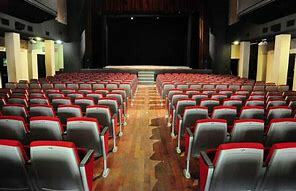 Friday, November 16, at the Teatro Comunale Laura Betti casalecchio di Reno is scheduled the final event of the European project Life Primes, from 15.00 hours to 19.30; The opportunity to tell a good experience of participation, to make the point about the results achieved, and, above all, to discuss how to give continuity to the commitment experienced in the municipalities, so that good practices of prevention and self protection from Risks can be replicated in other communities. The beginning is foreseen at 15.00 with the greetings of Paola Gazzolo , regional councillor of Emilia-Romagna to defend the soil and the coast, civil protection and environmental policies and mountain. The following will be experts, technicians, local administrators. Various themes touched: the presentation of the project PRIMES, the launch of the final video, a trip within the Caap-Civic Adapt Action Plan, the step in more than PRIMES: The added value of the project with the analysis of the impacts of the project on the communities of the areas Pilot (Polytechnic University of Marche) and the Tales from the territories involved (Emilia-Romagna, Marche, Abruzzo). After the awarding of the most resilient communities will be staged “La Margherita di Adele 2.0” theatrical play written by Marco Vignudelli, played by actors Anna Pancaldi, Fernando Vozzi, Marco Soccol, Stefano Antonini, explaining what is the change Climate and how it is manifesting, through an Ambien history set in 2050, in a recognizable place, which is changing and where there are problems that touch our lives closely. A talk show debate will follow-with Carlo Cacciamani , head of the Central Functional Centre, Department of National civil Protection, Sergio Castellari , a climate expert, European Agency for The environment, Costantino Marmo professor of semiotics and history of semiotics at the University of Bologna, Antonello Pasini , physical climatologist of the Cnr and author of many specialist publications, teaches physics of Climate in Rome three and environmental sustainability. (It takes a few seconds to fill out the online form and to validate the inscription by clicking the link on the confirmation email). Life Primes, serving the community. Become an active part of climate change adaptation strategies to increase resilience. This was the mission of Life Primes, the European project that has worked for three years a team of local administrators, technicians, citizens, teachers and experts, in Emilia-Romagna, Marche and Abruzzo, with the aim of reducing the damage caused to Territory and the population from floods and storms, through the strengthening of alert systems and the involvement of citizens. Primes has given voice and new opportunities to the local communities that have joined, experimenting with methods and participatory pathways.